Free download single released soon! 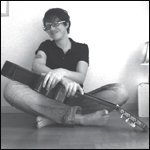 i will release the free download single "PEACE!" to support all the people now struggling for Democracy and basic human values in Egypt and northern Africa. the song's chorus will feature a big amount of singers chanting for true democracy, one that is not based on the selfishness of a dictatorship or capitalism. this will be the first release from PEACEBIRD, and i will give away this song for free in a hope it will reach and empower as many as possible. release will be before or to this very weekend. i'm working hard to finish it right now. stay tuned. democracy has to come from the people. in tunisia and egypt and other arab countries people now demand their rights in huge demonstrations and protests. we who live in free countries must support the enormous protests by these 100,000's of people who claim a better life, higher wages and a new regime. all different kinds of people are joining the movement, evolving into a historic revolution. one of the problems with our modern world is capitalism itself. because it builds on consumerism and the need to produce food and clothes cheap, mainly for consumers in the rich countries. i see the capitalism of today's world as a prolonged arm of colonization, we in the rich countries take horrible advantage of people in the poor countries. while the leaders of many of these "poor" countries themselves are ridiculously rich, the people get no share. what's happening in Egypt is very important, because it's one of the most populous countries in Africa and the Middle East with its population of about 80 million. if they can overthrow Mubarak (their dictator since 1981) other countries are sure to follow. my heart is with the people of egypt, tunisia and the other awakening countries in northern africa. may the sun rise on your efforts! let this revolution be the beginning of the new world. a world where everyone is equal, regardless of wealth, religion and colour of skin. the people is getting ready to reclaim the power. give the people the power back! another song from the coming PEACEBIRD album. i will work more with the mix and re-record the vocals. a jazzy soul ballad i wrote when i moved from Stockholm. i've played it live, and someone was reminded of the Beatles, i don't know if i agree. however it's one of my own favourites from my upcoming album. it's a song of Goodbye. this is NOT the finished version. i'm just uploading it so you can follow the process. i will work more with the vocals and mix. backing vocals by the brilliant jazz singer Lovisa Lindkvist. all other instruments are played by me. i just received some photos from my friend Nobuhiko Nakumura (the owner of Himeji's HUMMOCK CAFE) from our day in Kamakura. many wonderful photos, here are some of them. our friend Yoshihiro Narita was the local guide, starting at the Hokokuji Temple and Kamakura Bamboo Garden. Amazing place! we enjoyed delicious matcha tea and small sweets made from sugar, looking out over the bamboo garden and listening to the birds. after, we decided to enter the mountains. and, no, i didn't understand the sign that says "Don't enter"
the sign was hiding a beautiful mountain world. passing by the wonderful Komyoji (?) Temple before heading for Cafe Vivement Dimanche and Claro CD shop. thank you Nobuhiko for the photos! thank you Hiroshi for the car ride back! thank you Yoshihiro for guiding! one of my favourite things with japan is the 'idea' or notion of wabi-sabi. difficult to explain, but shortly it is the aesthetic (or beauty) of something "imperfect, impermanent and incomplete". we discussed it a little in the bamboo garden. "Restrained quiet beauty of stark simplicity"
2 live dates for february in awesome live spots: Strobe Cafe (beside Yoyogi Park) and Tsukimirukimiomou in Aoyama. You can make ticket reservations directly to me (see below) or to the venue itself. "sometimes we have more in common with a stranger than a twin." another song from the coming PEACEBIRD album. i will work more with the mix. i like the heavy vinyl-sounding hip hop kind of beat, it fits perfectly with the bluesy kind of chords and syncopation of the chorus. a kind of groovy soul song with a heavy beat and one of my favourite lyrics from the album. it's about acceptance, understanding and respect. this is NOT the finished version. i'm just uploading it so you can follow the process. i will work more with the vocals and drum mix. another song from the coming PEACEBIRD album. the sound WILL change a little, but this song is almost finished. i will re-record my voice. this is another of the songs i've re-arranged, even if the tempo is still the same. i am SO PLEASED with this song and the arrangement. the AMAZING saxophones are played by ANDREAS ANDERSSON, and the trombone by KARIN HAMMAR. i have sampled the bass by GLENN FRANSSON and drums by JOCKE SAND�N to be able to re-work the groove. all recorded in sweden in 2010.
they all play in more songs on the album. another song from the coming PEACEBIRD album. still in the pre-production stage so the sound WILL change, but this song is soon finished. i originally had a different arrangement, uptempo in a crazy speed, but this new arrangement brings out the sexiness in the melody. another song i had spent over 50 hours working on, when i decided to change it completely. this is the new version. i'm very happy with it. and.... there's no guitar! this is NOT the finished version. i'm just uploading it so you can follow the process. i will work more with the vocals, organ and mix. the backing vocals are performed by Swedish jazz vocalist LOVISA LINDKVIST. february 3 is traditionally Bean-throwing Day in japan - Setsubun. it's bound to be a great night of live music, three acts all together, just a Bean's throw (sorry, coultn't resist) from Yoyogi Park. hope to see you! i'm starting this year with full speed. currently in the middle of producing 6 new songs for the japanese duo project MAMERICO. turns out great! i really enjoy producing music for others, it kind of frees my mind in a lovely way. 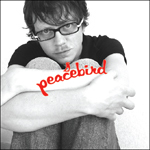 i've got 2 new solo albums coming too, which will both be released under the name PEACEBIRD. and i'm finishing the musical, so it looks like 2011 will be a busy year! one album will be an acoustic recording, something i finally feel ready to do, just me and the guitar, creating some down-to-earth magic. on this album i will sing three new songs, three covers, and about four of my old songs in new acoustic versions. looking forward to it very much. we're planning to make a documentary during the recording, which will be included with the CD as extra material, some kind of "enhanced CD" thing. have been thinking about making a DVD instead, just haven't decided yet. the other album is the one you've heard samples from here, SLOW DOWN for example, LET THE SUNLIGHT IN and AFTER THE RAIN. it's a band album and thus will be different from the acoustic one, even if the style of music is similar, it's just the sound that will differ. PRE-ORDER the band album now, and get it straight to your home address before the official release! Happy New Year again, and hope to see you around!